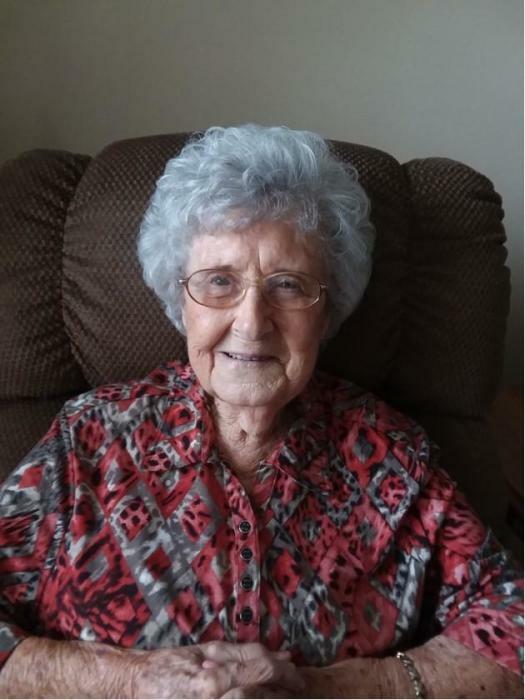 Jean Bishop Cline, 92, of Asheboro, passed away on Wednesday, April 10, 2019 at Randolph Hospice House. A memorial service will be 1:00 p.m. Monday, April 22, 2019 at the Seaver Funeral Home Chapel in Princeton, WV, officiated by Rev. Clifford G. Schell. Burial will follow at Resthaven Park Cemetery. The family will receive friends one hour prior to the service at the chapel. Born September 29, 1926 in Mercer County, WV, she was a daughter of the late James Roscoe and Lucy Bailey Bishop. She was a member of First United Methodist Church in Princeton, WV. She is survived by her daughters, Vicki Cline Holt (Eddie) of Troy, and Teresa Cline Vining (Chris) of Thomasville; grandson, Larry Richard Holt of Troy; step grandchildren, Marshall Phillips Vining of Thomasville and Mary Kathryn McCracken of Bishopville, SC; and four step great grandchildren. She is preceded in death by her husband of 35 years, James Irvin “Nick” Cline, two brothers and three sisters. She was a faithful caregiver and devoted endless hours caring for her mother and her sister in their latter years. In lieu of flowers, memorial contributions may be made to Randolph Hospice House, 446 Vision Dr., Asheboro, NC 27203. McDougald Funeral Home and Crematorium in Laurinburg is serving the family.